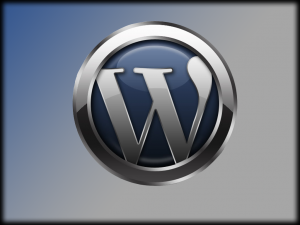 WordPress has grown to become not only one of the most popular blogging platforms across the globe, but also one of the most popular tools for developing a non-blog website. It’s flexible, powerful and easy to work with, which offers great advantages to most users. In order to fully make use of what the platform offers you though, you should take steps to optimize WordPress for the search engines. Learning how to set up a blog site for SEO and optimal performance isn’t something that most business owners have time for. Further, it’s not something that many individuals have an interest in pursuing. That’s where we come in. We can either show you all about setting up a blog site, or actually do the legwork for you, offering complete blog SEO optimization services at very reasonable and accessible prices. We also offer complete setup services, so your brand new blog can be up and running in absolutely no time at all. At Washington DC SEO, we offer a variety of affordable blog SEO optimization packages for our clients, whether we’re developing your website, re-launching it, or simply refining it to produce better results. A comprehensive WordPress SEO optimization package will include everything from the beginning keyword research services to find the right phrases to target, to the installation and setup of high quality plug-ins, the inclusion of your keywords in all the right places, as well as factors such as internal links and page hierarchy and structure. Contact us today and we’ll show you how we can help you with WordPress and blog SEO optimization.